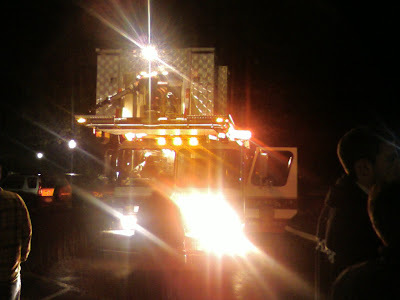 A fire alarm in Main put Hip Hop 101's Mug Night to a stop at around 1:30AM. Ironically, the alarm went off during "Don't Stop The Music." The Mug cleared out and students had to stand in the rain. Dude. They totes should have sucked it up, waited, and come back in after.